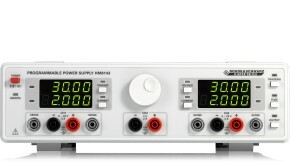 One, two or three channels – the R&S®HMC804x DC Power supplies with their specifications and wide range of functions are ideal for use in development labs and industrial environments. Thanks to their high energy efficiency, the linear power supplies remain cool and quiet, even at maximum load. 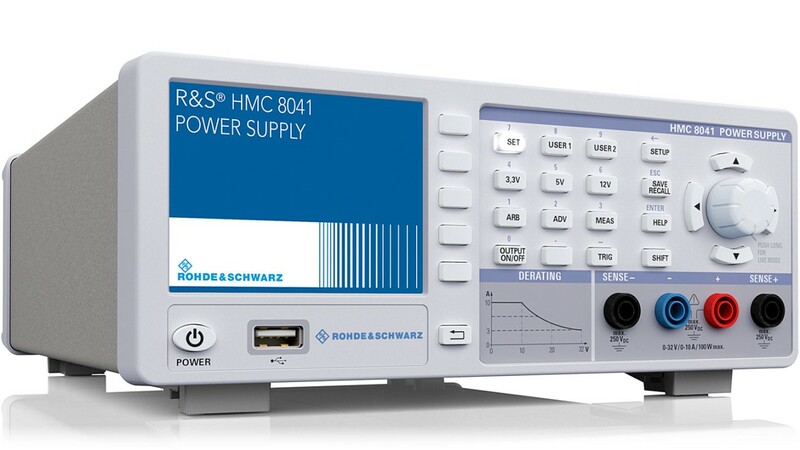 Practical interfaces and connectors allow users to work quickly and conveniently with the R&S®HMC804x. 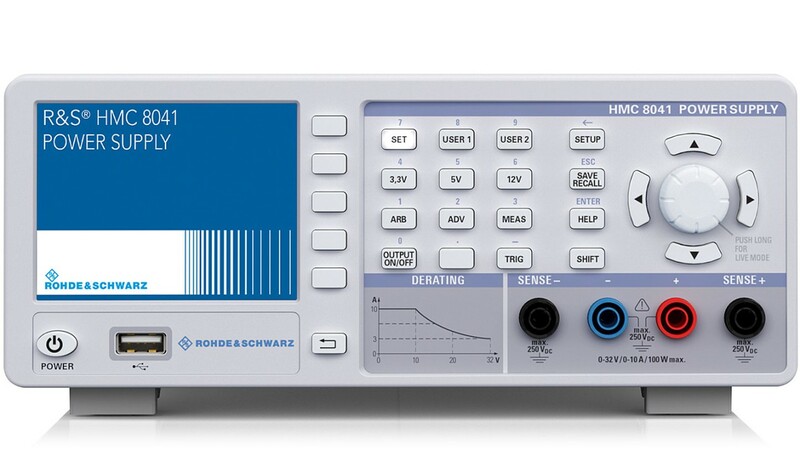 Comfort functions enable the instruments to be used in special applications. 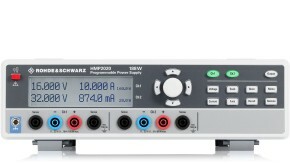 All channels are galvanically isolated and can be combined to drive balanced ircuitries or for higher voltages/currents. 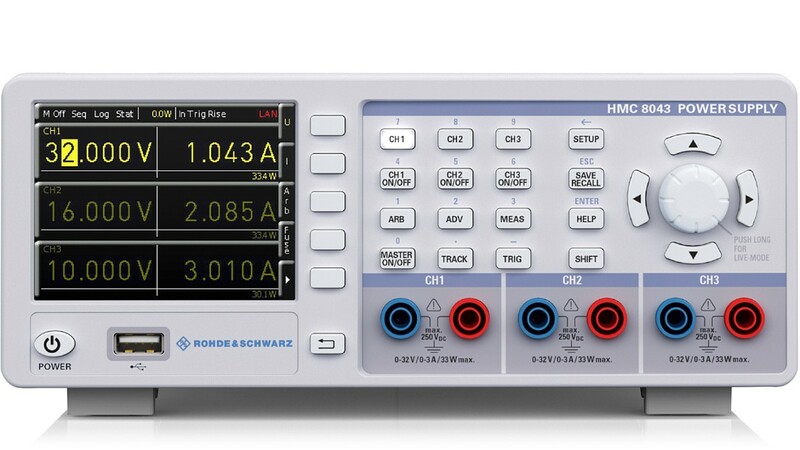 The brilliant color display shows voltage, current and power values in real time with a Brilliant QVGA color display (320 x 240 pixel), realtime voltage, current and power values, a high setting and readback resolution: 1mV and 0.1mA/1.0mA (depending on current and model). Also there is low residual ripple due to linear postregulation and high energy efficiency, low heat dissipation and quiet fan. FuseLink allows you to freely combine the electronic fuses in each channel. A fuse delay can be set to prevent too early switch-off due to a short current spike. 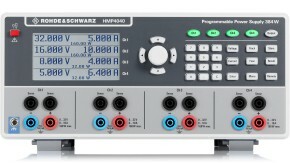 Overcurrent/overvoltage protection can be set for each channel individually. The electronic fuses can be linked to other channels. 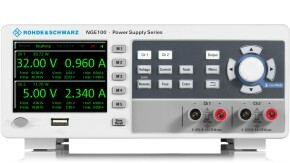 In this case, the channel exceeding the maximum current level and all linked channels will be switched off. 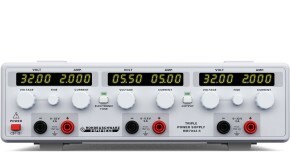 Even the delay time can be set to prevent premature switch-off due to short current spikes. Arbitrary waveforms can be generated for voltage and current. Function can be configured and executed via control panel or external interface. 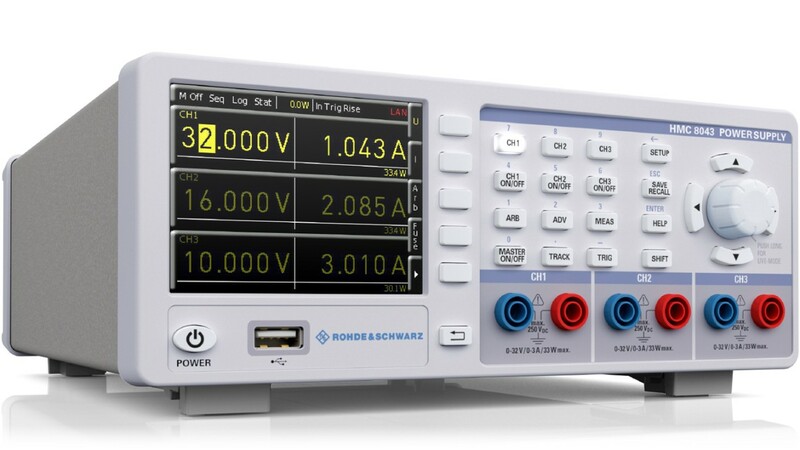 Sometimes test sequences should avoid the abrupt rise of the supply voltage. The EasyRamp function allows users to run a linear startup curve within a defined time span. Remote control is possible via USB and LAN. 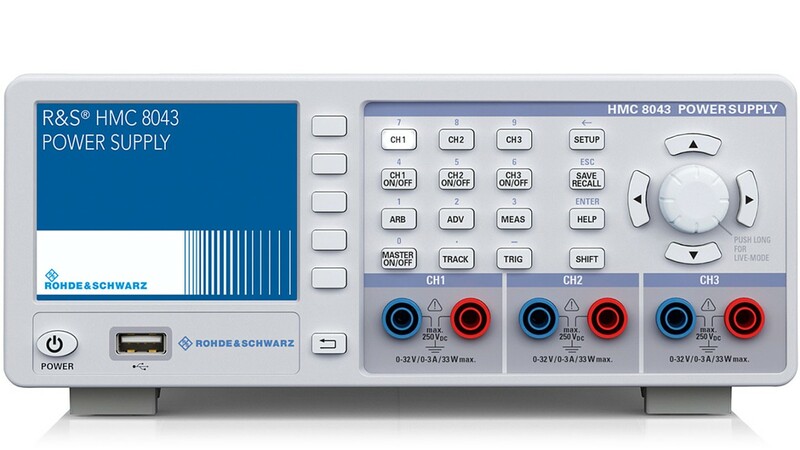 The HMC804x-G models offer IEEE-488 (GPIB) interface additionally.